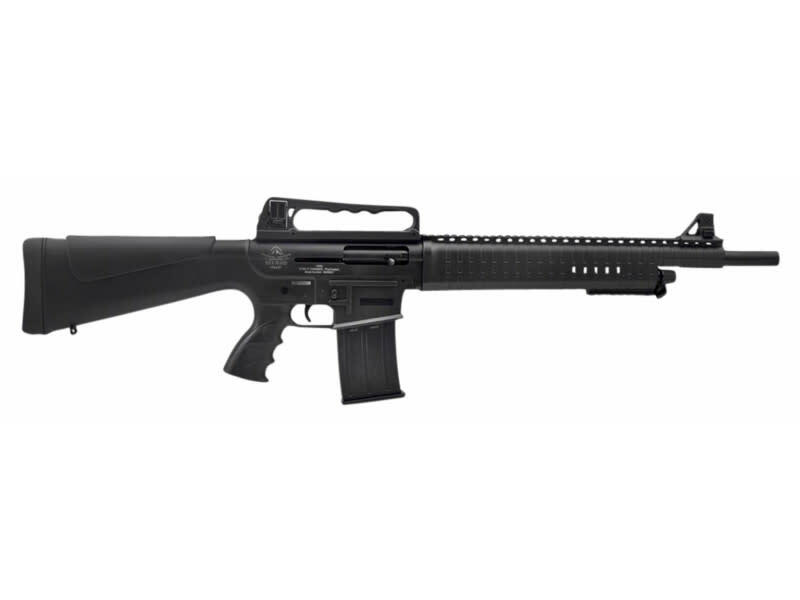 The VR60 AR semi-automatic shotgun uses a conventional gas-operated action which is located around the support tube that runs below the barrel. The upper receiver is manufactured from an aluminum alloy and the top of the receiver has a carrying handle and integral picatinny rail for mounting rear sights, or any optical accessories. The manual safety also duplicates the M16 style being located on the left side of the receiver above the pistol grip. It comes packaged in a nice commercial box with the chokes and magazine.